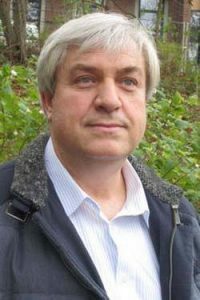 Olivier Piacentini est depuis 17 ans le directeur d’un cabinet de conseil spécialisé dans la création d’entreprises, mais aussi essayiste prolifique et politologue, souvent invité dans des émissions radiophoniques et télévisées. Cette conversation avec Grégoire Canlorbe, Vice Président du Parti National-Libéral, a eu lieu à Paris en avril 2018. Grégoire Canlorbe : Pourriez-vous commencer par nous parler de votre proximité vis-à-vis des « jeunes de quartier » qui se lancent dans la création d’entreprise – et doivent endurer l’oppression des taxes et du code du travail ? Jusqu’à quel point vos essais sur la France, le déclin, et la mondialisation empruntent-ils à cette expérience de terrain ? Daniel Conversano, co-founder of the Suavelos association, is a Franco-Italian thinker and novelist who defines himself as a white advocate and Westernist. He is the author of Désolé Jean-Pierre, and publishes twice a month long filmed interviews with figures of nationalism, cultural and political interviews that he has been conducting since April 2016. The program is called “Vive l’Europe” and is very successful on the French-speaking net. Grégoire Canlorbe: How do you move from fighting for the nation to fighting for the white race? Daniel Conversano: In my opinion, there is no nation without a people. This is why I have long defined myself as a nationalist and not as a patriot, the difference between the two being that the nationalist takes into consideration the people in its racial dimension—the blood. France is a white country, like all European countries. The population of a white nation may change ethnically from one European group to another, it will remain a white country, and therefore a European nation. 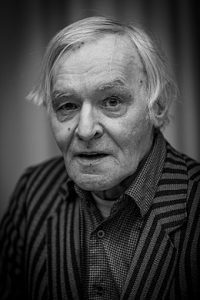 Guillaume Faye is a French philosopher, known for his judeophile right-wing paganism, his call for a Eurosiberian Federation of white ethno-states, or his concept of archeofuturism, which involves combining traditionalist spirituality and concepts of sovereignty with the latest advances in science and technology. Grégoire Canlorbe: In my opinion, the liberalism [libertarianism, free-markets] of tomorrow will be a liberalism at the crossroads of Julius Evola and Filippo Tommaso Marinetti—a reconciliation that Italian Fascism basically failed to achieve. In other words, the liberalism of the future will be an archeofuturist liberalism. Do you envision France as a fertile ground for this new liberalism? Guillaume Faye: If one considers France from the point of view of Frédéric Bastiat, it is basically a communist country. In fact, France is today more communist than the Soviet Union ever was. It is one of the last bastions of communism in a world that is now profoundly liberal. Not only does government spending represent more than 58 percent of GDP, and redistribution expenditure more than 50 percent of GDP, but with a population that represents less than 1 percent of the world’s population, France represents 15 percent of the world’s welfare state redistribution. The following article is also available on Watts Up With That and CASF. It was published in French by Friends of Science. The eminent Davos man that is Emmanuel Macron does not only profess his faith in cosmopolitanism—namely, the refusal of sovereign nations, as well as of genetic and cultural differences (between men), and of moral boundaries (in the human heart). [i] Climate activism, which fights for the reduction of the human emissions of carbon dioxide—in the name of the warming supposedly caused by those same emissions—occupies an essential place in the creed of the current French President, who does not hesitate to challenge Trump on this ground. Be it climate activism or cosmopolitanism, Macron’s conceptions lie in the lineage of the global superclass whose emissary he is. A short while ago, Prof. Lindzen had a conversation with Mr. Grégoire Canlorbe, who interviewed him on behalf on the French Association des climato-réalistes—the only climate-realist organization in France. Grégoire Canlorbe: Your early work dealt with ozone photochemistry, the aerodynamics of the middle atmosphere, the theory of atmospheric tides, and planetary waves. How do you present to the layman the several scientific discoveries you were responsible for in these areas? 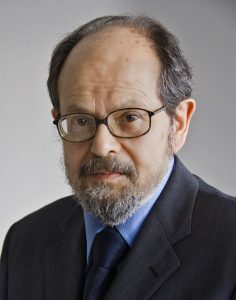 Richard Lindzen: My work is mostly about ‘explaining’ rather than ‘discovering’, and I doubt that my achievements would mean much to laymen. With respect to my early work, I provided the explanation for the Quasi-biennial Oscillation of the tropical stratosphere. This phenomenon refers to the fact that the wind between 16 and about 30 km in the tropics blows from east to west for approximately a year, and then reverses and blows from west to east for about another year. Cet entretien a été initialement publié par Dreuz.info, le 3 avril 2018. Grégoire Canlorbe : Le remplacisme constitue, dites-vous, l’idéologie de la superclasse mondiale. Voyez-vous en Emmanuel Macron, dont le « remplacisme » ne pose pas question, un agent de la superclasse mondiale ? 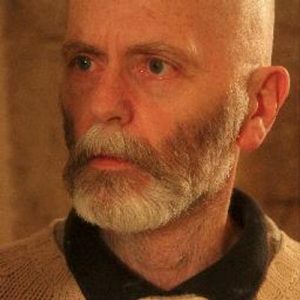 Renaud Camus : Ah oui, par excellence : le meilleur. C’est l’homme de Davos. D’ailleurs il instaure à grandes enjambées ce que j’appelle la « davocratie directe », la gestion directe du parc humain par les banques, par la finance hors-sol, par les multinationales. Il n’est pour s’en convaincre que d’observer la neutralisation systématique et précipitée à laquelle il se livre de la strate politique intermédiaire : renvoi dans leurs foyers de toutes les personnalités politiques françaises qui ont tenu le devant de la scène depuis trente ans, gouvernement de seconds couteaux, majorité parlementaire de fantoches hébétés, réduction constante des avantages de la carrière politique, interdiction des doubles mandats, limitation du nombre de mandats dans le temps, réduction du droit d’amendement, asséchement pécuniaire de tous les pouvoirs locaux, privatisations accélérées, liquidation du service public, braderie du patrimoine national, on n’en finirait pas. L’État est détruit pierre à pierre au bénéfice des grands investisseurs. 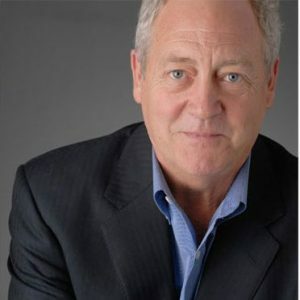 Patrick Moore is a Canadian activist, and former president of Greenpeace Canada. Since leaving Greenpeace, which he helped to found, Moore has criticized the environmental movement for what he sees as scare tactics and disinformation, saying that the environmental movement “abandoned science and logic in favor of emotion and sensationalism.” He has sharply and publicly differed with many policies of major environmental groups, including Greenpeace itself on other issues including forestry, biotechnology, aquaculture, and the use of chemicals for many applications. Mr. Moore had a conversation with Grégoire Canlorbe, an independent journalist, during his stay in Paris in December 2017 for the climate-realist conference day. The interview was conducted on behalf of the French “Association des climato-réalistes,” the only climate-realist organization in France. It was notably reprinted on Watts Up With That. Grégoire Canlorbe: The beliefs and values of an individual generally reach such a degree of interdependence (regardless of the poorly or rigorously logical character of this interconnection) that challenging a particular aspect of his worldview sets the whole edifice in motion, and not just that particular belief or value. When you finally decided to distance yourself from Greenpeace, how much had you been evolving in your personal philosophy? Patrick Moore: Well, I have to say even at the beginning of Greenpeace, I didn’t share all the same values and opinions of my comrades. I was doing a PhD in ecology, so I was involved in a science education and, although there were a few people in the original group who had some science education, in the end, science was lost altogether in the Greenpeace evolution, to where during my last 6 years as a director of Greenpeace International, none of my fellow directors had any formal science education. In the beginning, we had a very strong humanitarian orientation to save human civilization from all-out nuclear war. This interview will be published in the December 2018 issue of Man and the Economy journal, founded by Nobel Prize winning economist Ronald Coase. Deepak Lal is the James S. Coleman Professor Emeritus of International Development Studies at the University of California at Los Angeles, professor emeritus of political economy at University College London, and a senior fellow at the Cato Institute. He was a member of the Indian Foreign Service (1963-66) and has served as a consultant to the Indian Planning Commission, the World Bank, the Organization for Economic Cooperation and Development, various UN agencies, South Korea, and Sri Lanka. From 1984 to 1987 he was research administrator at the World Bank. 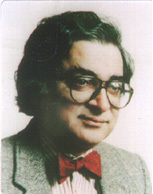 Lal is the author of a number of books, including The Poverty of Development Economics; The Hindu Equilibrium; Against Dirigisme; The Political Economy of Poverty, Equity and Growth; Unintended Consequences: The Impact of Factor Endowments, Culture, and Politics on Long-Run Economic Performance; and Reviving the Invisible Hand: The Case for Classical Liberalism in the 21st Century. Grégoire Canlorbe: From Gandhi’s point of view, in substance, Varanashram (caste system) is inherent in human nature and it was solely given a scientific expression through Hinduism. Similarly, can one contend that utility maximization and rational calculus are innate human traits that capitalism turned into a science? Deepak Lal: As I have shown in The Hindu Equilibrium, the caste system, far from being timeless and “inherent in human nature,” most likely arose as the Aryan response to the problem of securing a stable labor supply for the relatively labor-intensive agriculture they came to practice in the Indo-Gangetic plan. Given the ecological circumstances of this large plain (once the primeval forests had been cleared during the Aryan advance), and the primitive forms of transport then available, a major constraint on achieving a political solution for the provision of a stable labor supply, was the endemic political instability among the numerous feuding monarchies. This interview was published by Breitbart News Network, in an edited version, on 28 October 2017. Here is the complete version, which was also published by Watts Up With That, the world’s most viewed site on global warming and climate change. 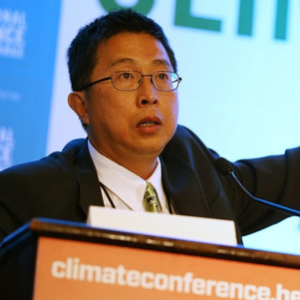 Grégoire Canlorbe: Climate activism is thought of as Marxism’s Trojan horse, a way for its followers to proceed with their face masked, in the never-ending holy war that Marxism claims will be necessary to establish communist totalitarianism. Yet it was actually Margaret Thatcher, the muse of conservative libertarianism, who kick-started the IPCC. How do you make sense of this? István Markó: More precisely, Margaret Thatcher, although a trained chemist and therefore aware of the mendacious character of such an allegation about carbon dioxide (CO2), was the first proponent to use the excuse of climate implications posed by CO2 to achieve her political ends. At the time, that is, in the mid-1980s, Thatcher was waging war with the almighty coal union. In those days, the UK coal unions were remunerating themselves with public monies and by lobbying via the Labour Party had managed to pass an enormous number of laws and subsidies to keep an industry afloat that was no longer profitable on its own.